Brandywine Manor House decorated in purple with globe lights (paper lanterns). 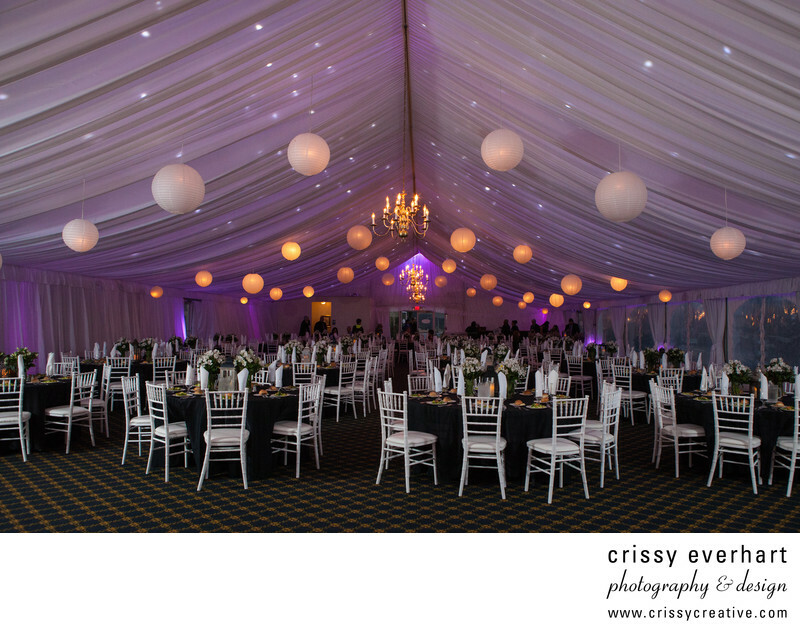 White chairs and black table cloths go along with this black and white themed wedding. Location: 120 Germany Hollow Rd, Honey Brook, PA 19344.